The start of the Summer Reading Program is just around the corner! 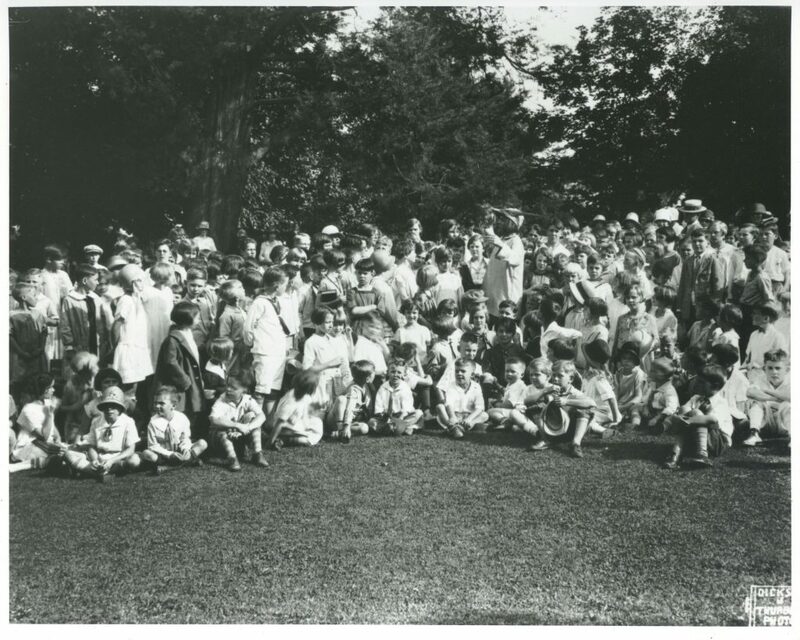 Summer reading has been a longstanding tradition of public libraries, and here at the Pasadena Public Library, this tradition got its start in 1921 with the Vacation Reading Club. 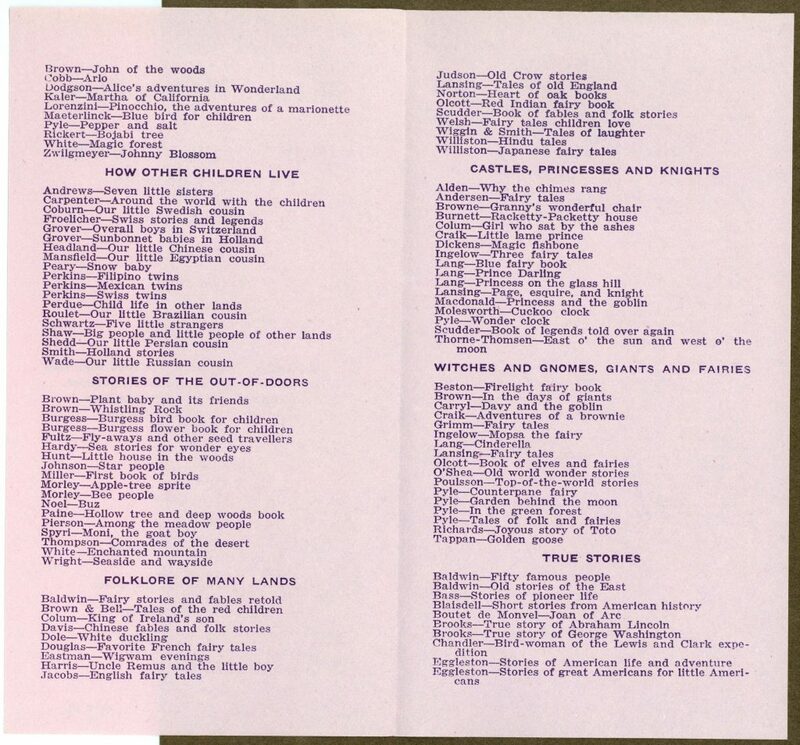 Children were given reading lists, which were developed by the children’s librarian as a guide to reading on different topics and also as a way to promote quality literature and foster good reading. Only books that were deemed good literature by the librarian were included in reading lists. 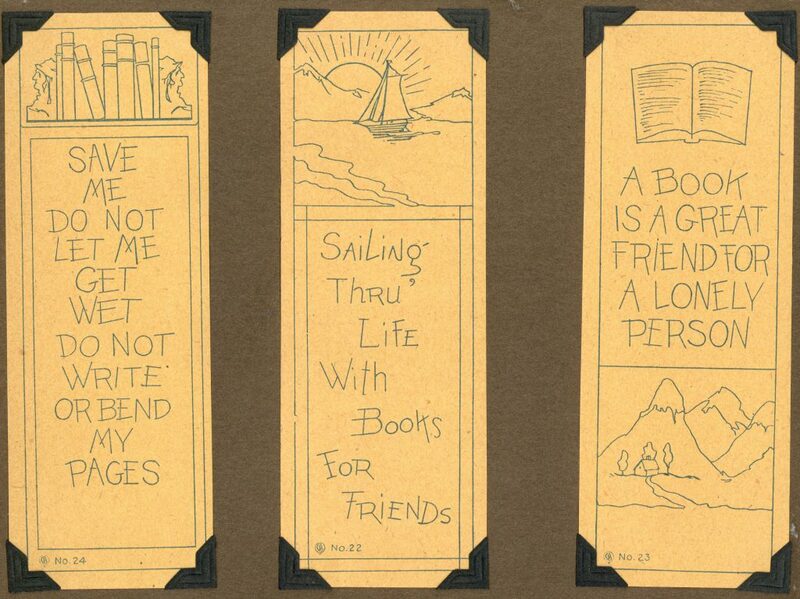 In the early 20th century, many libraries included fun activities and games as part of summer reading. PPL offered children’s programming such as storytime during the summer. Dramatic storytelling brought stories to life and was very popular with the young and old, as this photo from 1926 shows. Early summer reading programs did not offer prizes to children for reading books mainly because librarians wanted young readers to focus on and appreciate the pleasure of reading. 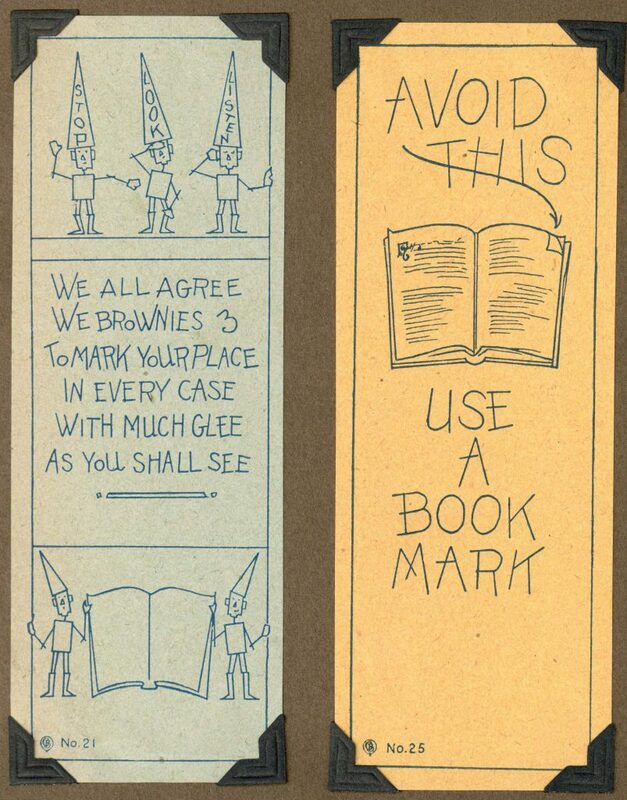 However, the librarians at PPL may have given bookmarks to them if only so that they wouldn’t damage the books. 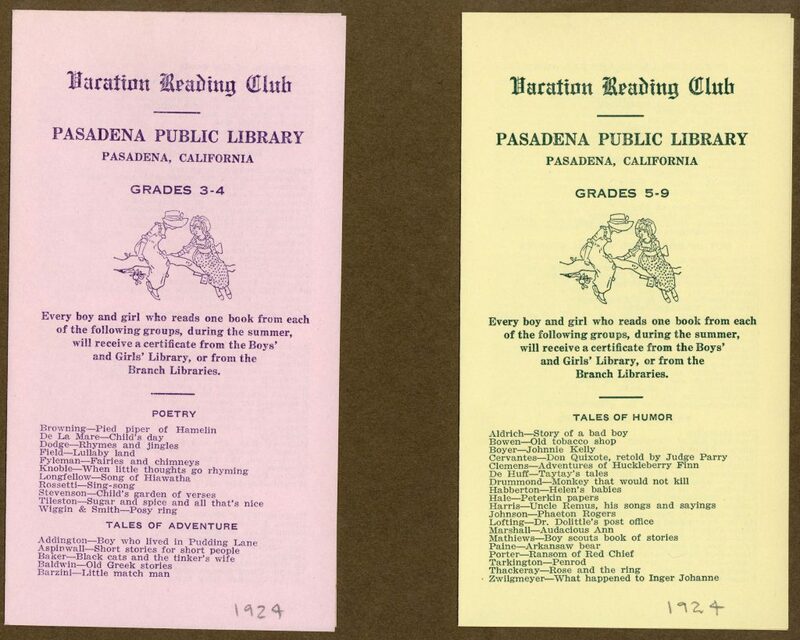 Children who have read ten books from a reading list and gave a brief oral report about each book to the librarian received a certificate, which was presented to them at their school in the fall, according to an article by Jeanette Drake—head librarian of the Pasadena Public Library (1919–1936)—that was published in a 1922 issue of Library Journal. In this article, she mentions that during the previous summer, “books read were of a superior type” and the reports demonstrated that the “children had grasped all of the important points [of the story]” (Drake, 1922, p. 397). 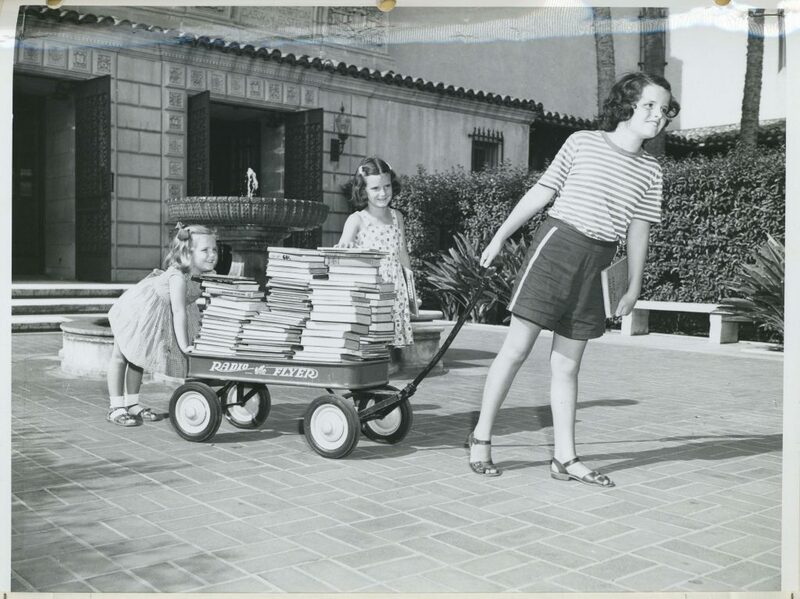 As the Pasadena Public Library gets ready for its 97th year of summer reading, it’s proud to continue this long and rich tradition that has made summertime so much more fun and exciting for many boys and girls over the years. The Library’s Summer Reading Program today continues to provide entertainment and enlightenment for many children and their parents while staying true to its purpose of promoting literacy and encouraging lifelong reading and learning among children—goals that were first established by the Vacation Reading Club of yesteryear. Baird, J.T. (Ed.). (1989). 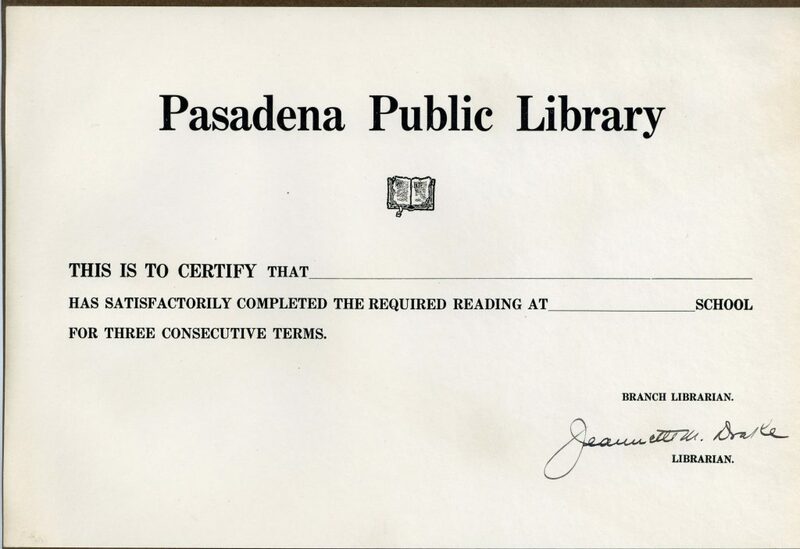 Pasadena Public Library: A pictorial history. Pasadena, CA: Pasadena Public Library Foundation. Drake, J.M. (1922). The Boy’s and Girls’ Library at Pasadena. Library Journal, 47, 397–398.